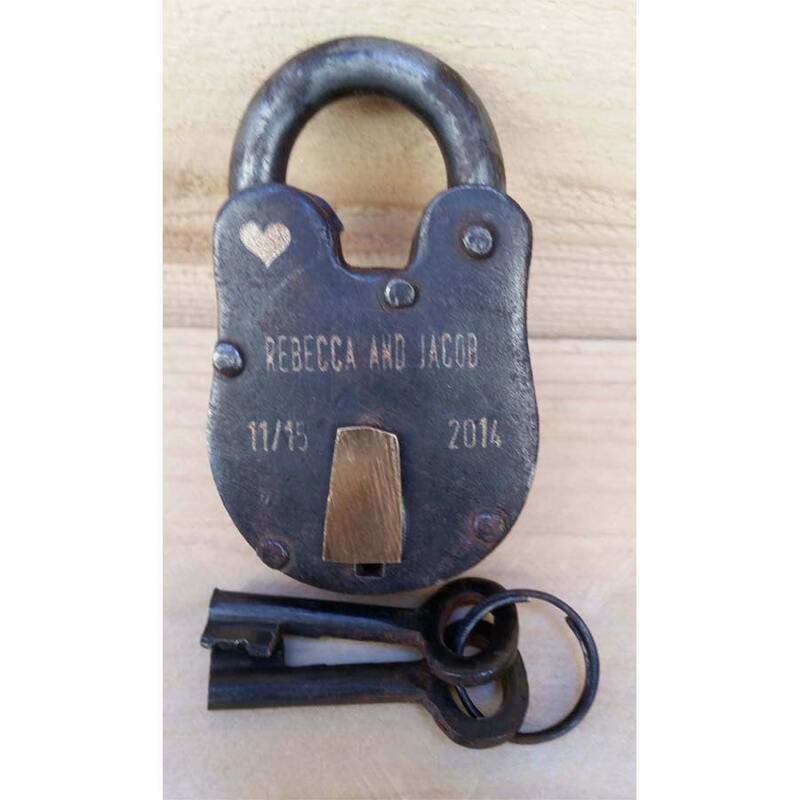 Vintage Love Lock - A custom engraved antique style lock. 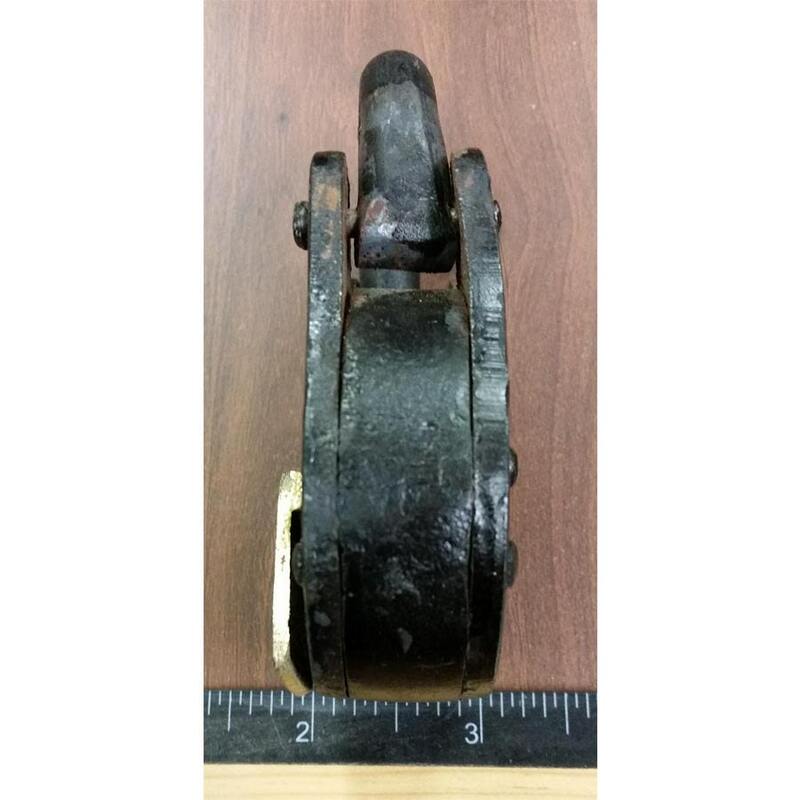 the "lock" that is unbreakable. BRAND NEW LOCK WITH VINTAGE LOOK!! Engraved and paint filled to simulate old style stamped markings. A new lock with the vintage look. Fully functional lock with 2 skeleton keys. 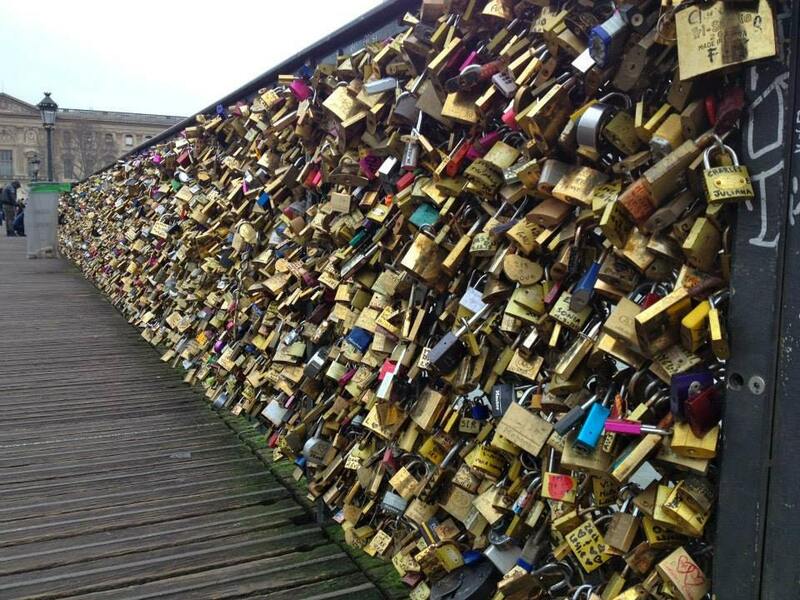 All the padlock are made from Iron and brass. 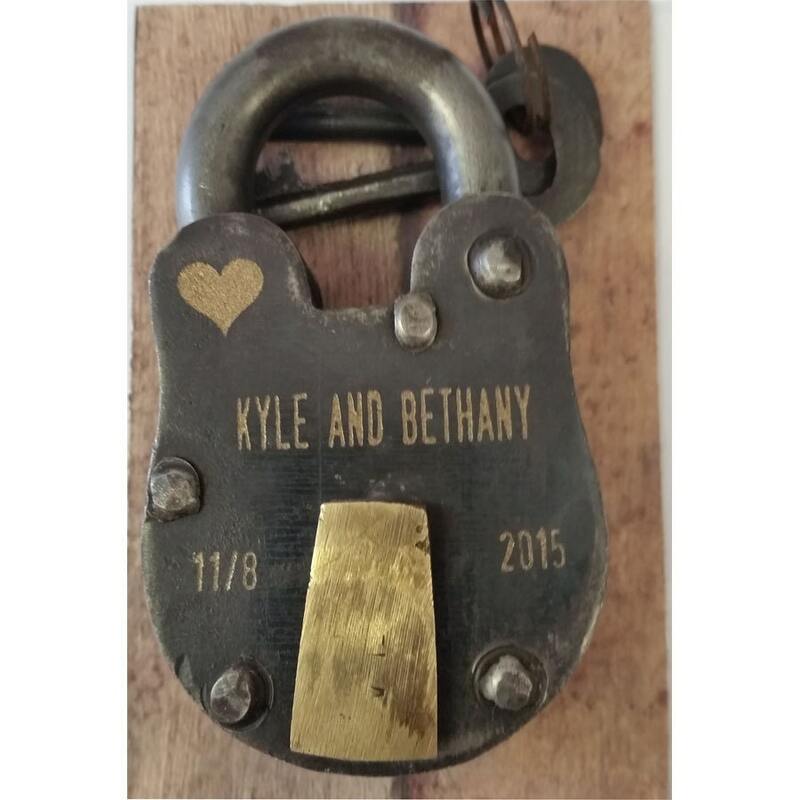 To give the padlocks a old antique look and feel, they purposely have some surface rust to give the padlocks and skeleton keys an old patina look. 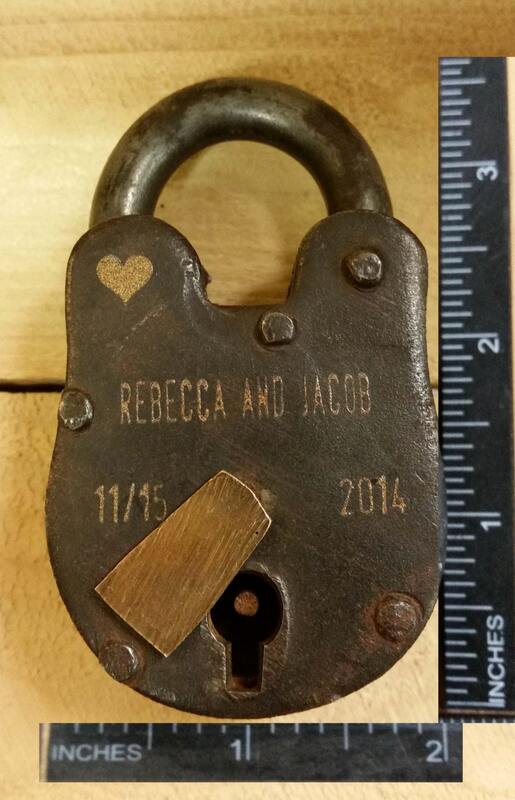 The padlock measures 3 1/2" tall x 2" wide and 3/4" thick. It comes with two skeleton keys each measuring 2" long. Once you order we'll do a layout for your approval prior to actual engraving. Once you approve the layout, we usually ship with 24 hrs. We ship using Priority Mail which is 2 or 3 days shipping to most locations. Can be used for any purpose you can dream up.